At the Piatchek Law Firm, our attorneys are committed to helping clients aggressively pursue their rights and interests through civil litigation, personal injury, workers’ compensation, family law, and criminal defense cases throughout the entire state of Missouri. Our experienced attorneys will assist you at every stage of the process and fight for your rights, no matter the size or scope of your case. In most cases, our civil litigation and criminal defense attorneys will schedule an initial consultation in our law office in Springfield, Missouri, to discuss your case. By the end of the meeting, we will develop a plan to work together. At the Piatchek Law Firm, we prepare cases for trial; we don’t just plan for settlement. Our attorneys are tough, hard-nosed advocates who will fight for your rights. We are extremely professional, ethical, and focused, and we conduct rigorous legal research and exhaustive detective work when necessary. Plus, we are creative whenever possible. Although most lawsuits settle, we take a hard-nosed stance and will prepare your case to go all the way to trial. In addition, as we prepare for trial, we keep an eye out for favorable settlement opportunities. We have found that when the opposition knows you are prepared to go the distance, favorable settlements are not uncommon. Therefore, we do encourage early settlement discussions when appropriate, and we promptly bring settlement opportunities to your attention. 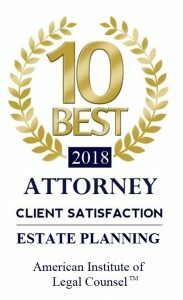 Additionally, we identify and notify you of all opportunities to use alternative dispute resolution (ADR) procedures, such as mediation, to resolve your case. ADR may impose fewer costs than litigation, give you greater confidentiality, and give you greater control over the selection of the individual (or individuals) who will decide your dispute. In summary, we forge a careful and comprehensive strategy for your litigation to make sure your case is thoroughly prepared for trial. Click here to view a summary of our approach to trial preparation. You may have to retain an expert for litigation, depending on the nature of your case. Expert testimony is a formal written or spoken statement given in a civil or criminal case by an expert witness with specialized knowledge. Expert testimony provides helpful information to the judge or jury. In some cases, the opinion of an expert is so powerful that it is a deciding factor in the outcome of the case. We have a good understanding of the nature of expert witnesses, the services they can effectively provide, and the reasonable costs to expect for their services. This knowledge can drastically change how you proceed with your litigation. Click here to view the types of experts we have used in litigation. We can research all reported state and federal appellate cases throughout the United States using Westlaw as our primary online legal research service. Westlaw is a database service with more than 40,000 databases of case law, state and federal statutes, administrative codes, newspaper and magazine articles, public records, law journals, law reviews, treatises, legal forms, and other information resources. We also use FastCase for legal research. Fastcase is a legal research service that accesses a comprehensive national law library and provides attorneys with next-generation searching, sorting, and visualization tools for researching case law. In more complex or document-intensive cases, we use CaseMap software for litigation support and document management. CaseMap integrates with several third-party applications, most notably Adobe Acrobat, and can easily manage up to 25,000 documents. We are committed to using the best practices of litigation and legal ethics to fight for you and assist you during difficult times. We may be your tough-minded litigators, but we are also your servants, helping you arrive at practical solutions to your problems, whether you are an individual or a business. For more information, please give us a call at 417-882-5858 to schedule a complimentary consultation.